The representation of Middle Eastern women in Western scholarship in particular has been critiqued in post colonialist and feminist scholarship for its racist underpinnings embedded in broader colonialist constructs. This rich body of scholarship has contributed to a paradigmatic shift in how the “woman question” is addressed in western academic engagement with women in the Middle East. 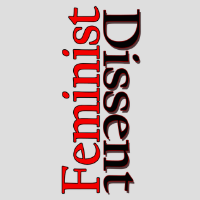 This article, however, interrogates whether the counter-narratives have created new binary constructs in their representations of women’s agency whose impact has been detrimental to local feminist struggles for gender equality. It explores the problematics of using an analytical framing that disassociates expressions of women’s collective agency from the gender equality agenda and its implications for coalitional work by looking at examples from the early 20th century as well as in the aftermath of the Egyptian revolution of 2011.